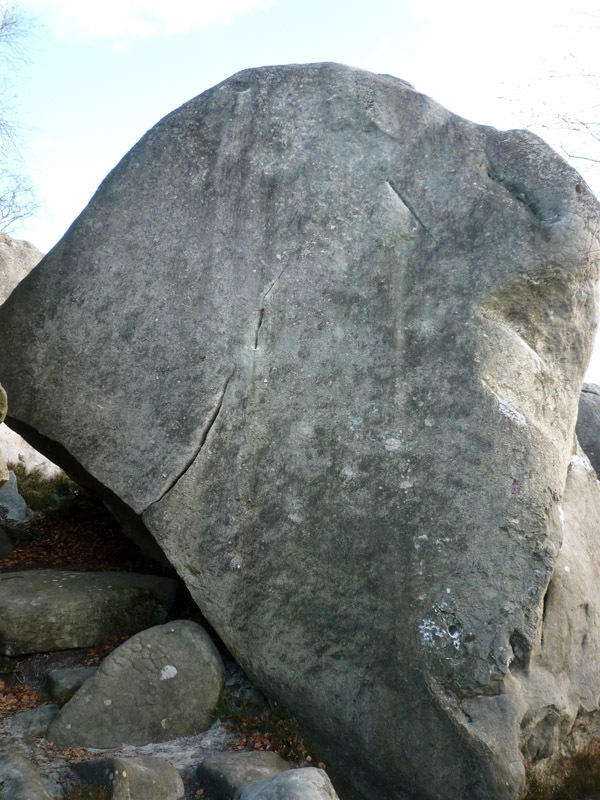 To the opposite of Futur Antérieur, just left of red n°27, on the boulder of La Salamandre (light blue n°24). Start in the cracked slab and exit right. ou juste à gauche du 27 rouge.